Meddy Ranks, who worked on John Holt’s final recording, says the singer always managed to make people feel happy, Mike Lockey writes for The Birmingham Mail. 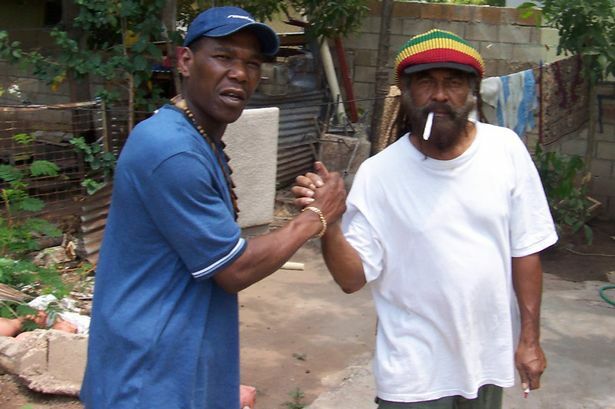 A Birmingham record producer has spoken of his deep sense of loss following the death of reggae legend and close friend John Holt. Rubery’s Meddy Ranks worked on Holt’s last recording, “What Love Has Done To Me” and was a frequent visitor to the singer’s home in Kingston, Jamaica. Holt, aged 69 and a cult figure on the Caribbean music scene, died in a London hospital on Sunday morning. The cause of death was unknown, but the veteran had battled ill-health since collapsing on stage last August. Meddy, who left Jamaica for Birmingham in 2003, had known Holt for 25 years. He was introduced to a man seen as the Godfather of reggae by fellow legend Sugar Minot. Meddy produced four Holt tracks, although only one was released. He said: “We were very close, we’d spend evenings smoking in John’s garden. “I feel a real sense of loss. “He was a good person to talk to, always in a good mood. Holt, who rose to prominence as lead singer with The Paragons, is probably best known for penning, “The Tide Is High”, a smash hit for Blondie. His cover of “Help Me Make It Through The Night” peaked at number six in the UK charts and UB40 recorded “Man Next Door”. Reggae label Trojan Records dubbed Holt “a huge talent and true gentleman”. Caribbean websites have been flooded with tributes. Meddy last visited Holt’s Kingston home in January. “That wasn’t business,” he said, “we were just chilling. Holt was also close to Meddy’s mum, Evelyn Johnson, who lives in Jamaica.